Jeff G Ellis was born in Adelaide on 4 May, 1953. He obtained a BAgSc (Hons, 1st class) from the University of Adelaide in 1976, with majors in Plant Breeding and Genetics. His honours supervisor was Dr KW Shepherd; his Thesis was entitled: ‘A mutational analysis of pathogenicity genes in flax rust’. He obtained his PhD from the University of Adelaide in 1981 for his Thesis entitled: ‘Genetic aspects of the induction and biological control of crown gall’. This work was done under the supervision of Prof Allen Kerr. In 1981-82, he was a CSIRO Post-Doctoral Fellow in the Genetics Department, State University, Ghent, Belgium with Prof Jeff Schell and Prof Marc van Montagu. From 1982 to 1984, he was a Queen Elizabeth II Postdoctoral Fellow at CSIRO Plant Industry where he worked on the identification of four genes on the T-R DNA of the Ti plasmid of Agrobacterium tumefaciens that encode biosynthesis of opines of the Agropine/mannopine group. He joined CSIRO Plant Industry as a Research Scientist in 1984 to work on the identification of transcriptional control elements in the promoters of the maize alcohol dehydrogenase gene and the Agrobacterium T-DNA gene octopine synthase. He was promoted to Senior Research Scientist in 1987 and Sub-Program Leader, Program X, directing research aimed at setting up a transposon tagging system in transgenic flax in order to isolate rust resistance genes. In 1992-93, Ellis spent 12 months study leave at INRA, Versailles, France during which time he assisted in the development of vacuum infiltration methods for the transformation of Arabidopsis thaliana by Agrobacterium. In 1993, he was appointed Principal Research Scientist and Project Leader of Program Y, where he led a group of 4 scientists working on the isolation and characterisation of rust resistance genes from flax. They also carried out industry funded research on the expression of the L6 rust resistance gene in plants outside of the flax genus. In addition, Ellis managed a project with the CRC for Plant Science which developed into an industry funded project for map based cloning of avirulence genes from flax rust. During this period Ellis worked with Dr Tony Pryor’s team to take information gained from the cloning of flax rust resistance genes to develop successful PCR based procedures for cloning the rust resistance gene, Rp1-D from maize. In 2001, he was promoted to Senior Principal Research Scientist and Program Leader of Program Y, Genetic Engineering for Plant Improvement in CSIRO Plant Industry where he led a department of 25 scientists, students and technicians. His personal research continues into the cloning of stem rust resistance genes from wheat and the cloning of avirulence genes from flax rust and stem rust. Jeff Ellis and his group were among the first to clone and characterise plant disease resistance genes and describe their products as a new class of nucleotide binding site-leucine rich repeat proteins. 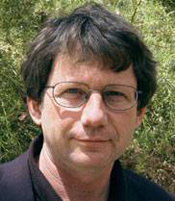 His laboratory developed the tagging system that led to the cloning of the L6 and M rust resistance genes in 1994 and 1997. L6 was one of the first cloned R genes. Since that time, the group has isolated a number of further genes that control other rust resistance specificities and have investigated the molecular basis of gene-for-gene resistance specificity through the study of chimeric L alleles in transgenic flax. Ellis and his research team remain one of the leading laboratories in plant disease resistance research. In the 2000s they isolated and characterised the flax rust avirulence genes that correspond to the flax L5, L6, L7 and M resistance genes and using yeast two hybrid analysis, demonstrated that there is direct interaction between L6 and AvrL567 proteins. Much of this work focused on the molecular basis of resistance gene specificity and on evolution of new specificities. It revealed that two regions of the resistance proteins were important for the specificity of recognition of strains of plant pathogens. The experimental approach adopted in his research has been principally molecular genetics. In the late 2000s, attention was directed to defining specificity in terms of the protein chemistry of the interacting host resistance and pathogen avirulence proteins. In addition to working with the model flax-flax rust system and the fundamental basis of rust resistance, the Ellis group has a strong grains industry focus on the delivery of improved rust resistance in wheat through increased efficiency of resistance breeding based on gene transfer and DNA marker technology. Ellis JG, 2009, Personal communication.